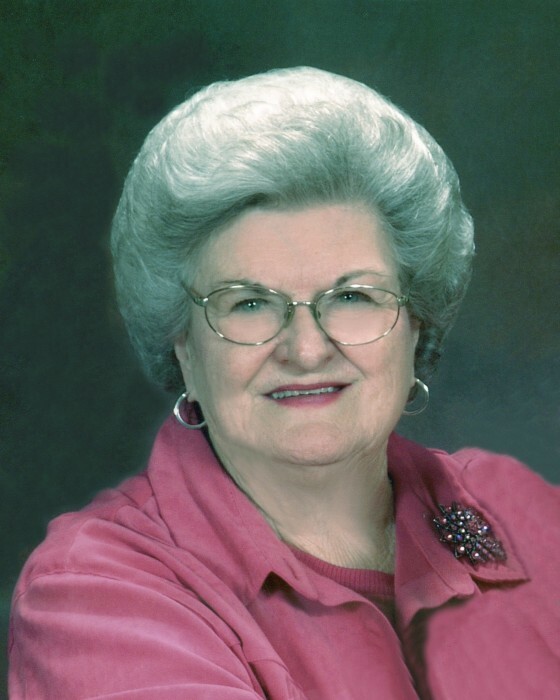 Wrens, GA – Betty Jean Harper Pope, 85, loving wife of 65 years to Walter “George” Pope, entered into her eternal rest early Tuesday morning, December 4, 2018 at Keysville Nursing Home and Rehabilitation Center. Services to celebrate her life will be held in the Wrens Baptist Church at 2:00 P.M. Friday afternoon, December 7, 2018 with Rev. Carson Fellows and Scott Pope officiating. Interment will follow in the Wrens Memorial Gardens Cemetery. One of three children born to the late Laura Gray Harper and the late Eston Harper, Betty grew up in Ocilla. After graduating from Ocilla High School, she moved to Macon for a job opportunity. Shortly after moving, she met the love of her life on a blind date. It was love at first sight and they were married seven months later. Mr. George’s job required that the family move quite a bit. Betty always made their family part of the community and made lifelong friends wherever they lived. In 1969, the job brought them to Wrens for several years before moving onto the next location. Upon his retirement in 1985, they decided to make Wrens their permanent home. 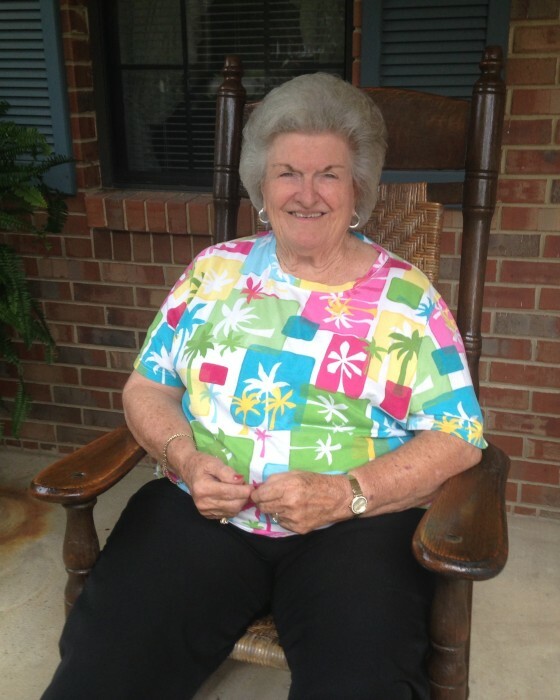 Betty loved Jesus, her Lord and Savior, serving Him as a past member of Brushy Creek Baptist Church and a current member of Wrens Baptist Church, where she attended the Lucy Howard Sunday School Class and was active in the Lois Whaley Women on Mission. She enjoyed working crossword puzzles and traveling—she either lived in or visited forty-eight states. Being very strong-willed and honest, Betty was always forthright and could be counted on to give you her opinion and advice. Because she loved the Lord, she loved people and was eager to meet new friends. She loved to talk and, therefore, was rarely at a loss for words. Betty’s first priority was her family and making their home a comfortable, safe haven. Her pragmatism and faith kept her family grounded. She stored her “treasures” in her family and loved them unconditionally. Betty has completed her life’s work and is now in Glory with her Lord. Betty is also preceded in death by her two brothers, Herman Harper and Johnny Harper. Other survivors include her three sons, Ronnie Pope (Renee), Ken Pope (Sheila) and Scott Pope (Sandy); five grandchildren, Haley Weigle (Jay), Katelyn Pope, Christian Pope, Chandler Pope and Chesney Pope; nieces, nephews, her church family and many friends. Pallbearers will be Emory Clements, Oliver Gay, Charles Milburn, Jack Phillips, Chandler Pope, Christian Pope, Jack Roberson and Ray Smith. Serving as honorary pallbearers will be the Lucy Howard Sunday School Class and the Lois Whaley Women on Mission. The family respectfully requests that in lieu of flowers, memorials in her honor be made to the Wrens Baptist Church Cemetery Fund, P.O. Box 588, Wrens, GA 30833. Heartfelt thanks and appreciation are expressed to the staff of Keysville Nursing Home and Regency Hospice, especially Leigh, for the compassionate, loving care given to Betty. The family will receive friends at James Funeral Home from 6:00 – 8:00 P.M. Thursday evening, December 6, 2018. She's waiting there, her face aglow.